Hey hey, welcome to a brand new Merch Table, your monthly look at the coolest wrestling merchandise on the market. This month we've got stuff from WWE, SPLX, PWC, Attack!, Pro Wrestling Tees, the Wrestling Shop and the South Pacific Power Trip! Find what suits you and support your favourites! After the excitement of WWE NXT Takeover and Summerslam, I’ve looked at some of the new and decent T-shirts from WWE Shop. After his victory of becoming the NEW WWE NXT Champion, maybe you may like to view Drew McIntyre's merch, beginning with his brand of T-shirts. Also there was some excellent new T-shirts from Sami Zayn, that looks stylish as well. Heading back to School?, WWE Shop has released a range of Backpacks, featuring the styles of US Champion, AJ Styles. In the last few weeks, they finally returned, Southpaw Regional Wrestling. Nuff Said. After gatecrashing NXT TAKEOVER, Adam Cole showcased exactly why he is a must see on the wrestling scene. Matt Riddle has consistently deliver exciting matches all over the world as part of the #BroTour. SPLX has been a mainstay in wrestling apparel, producing excellent styles and items that are in keeping with today's trends. Noticing a trend with all three I've mentioned? Thought so. In collaboration with Merch Britannia, after an excellent show this month, the word is out, Pro Wrestling Chaos is a promotion you must see. 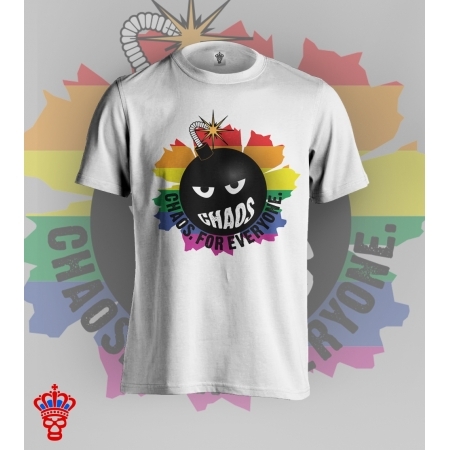 (If you never heard of them before shame on you) Celebrating Pride, Chaos released this vibrant T-Shirt, which looks damn good. Another awesome promotion, another awe-inspiring show, that is ATTACK! Pro Wrestling in a nutshell. And you haven't got merch from them yet? Well this latest offering, is perfect for wrestling fans and energetic enough for a night out. As The May Young Classic is on its way, some of wrestling's best is included in the tournament. And I don't mean, wrestling's best women, I mean in general. So I've ventured to Pro Wrestling Tees, to scout what merch there is so you can support your new favourite wrestler when the Tournament arrives. It's not all about clothing and apparel with the merch desk, I've scouted the next awesome wrestling figures that are out now after SummerSlam and what's next in the coming months. They are dynamic, exciting and excellent, they are The South Pacific Power Couple. From Progress, to Melbourne City Wrestling, and many, many more promotions, they have demonstrated exactly why they are a must see brand. With TKCooper currently injured no better way to welcome his return and support Dahlia Black than getting this range of T-shirts. Well that's me this month, hope you enjoyed, I was @craigHermit see you next time.